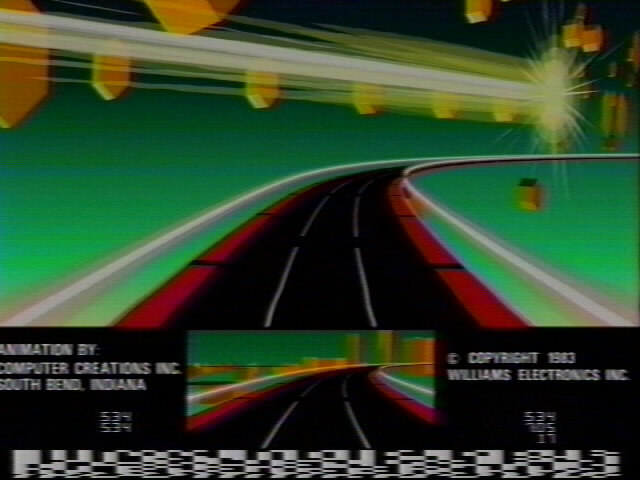 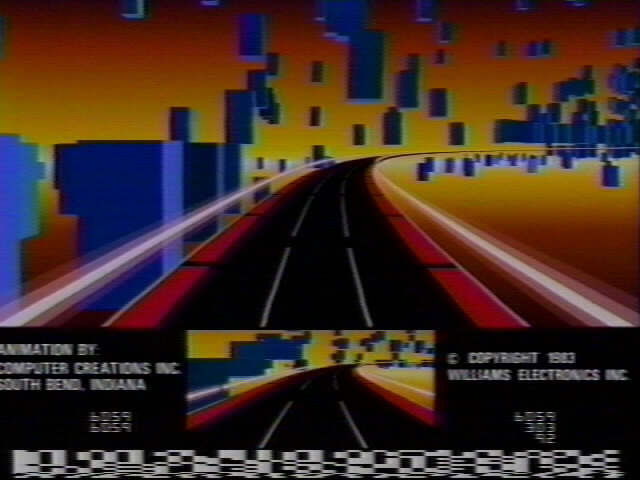 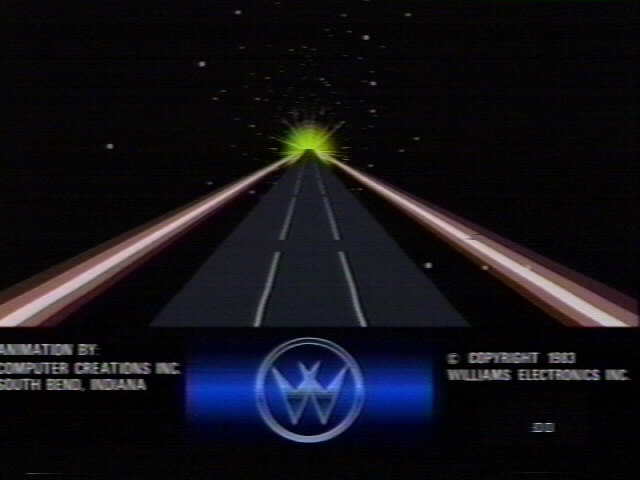 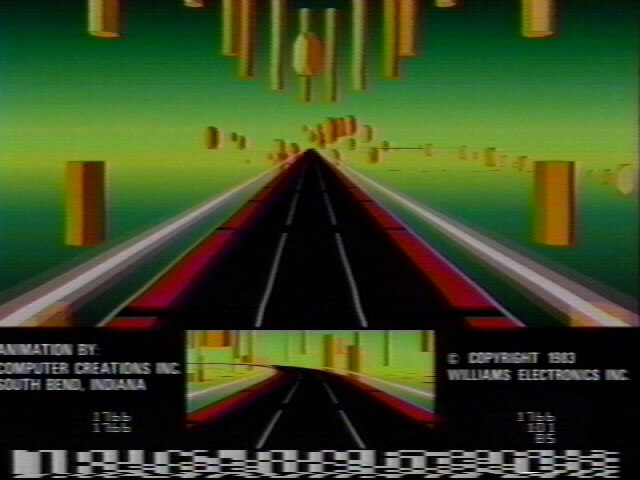 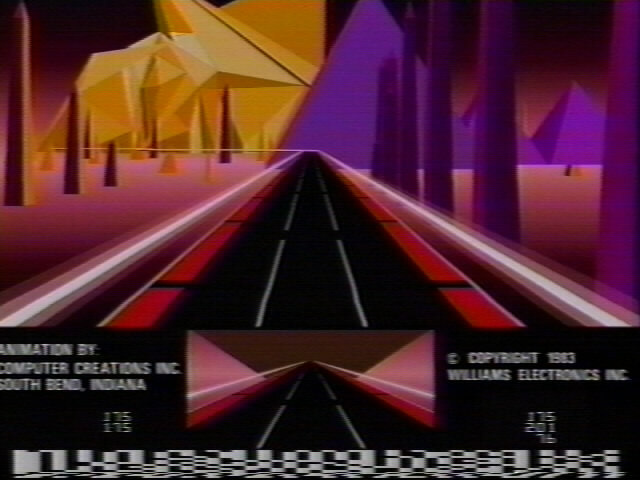 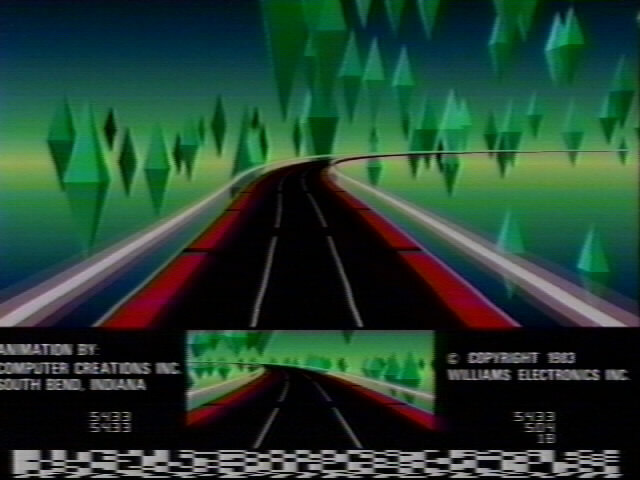 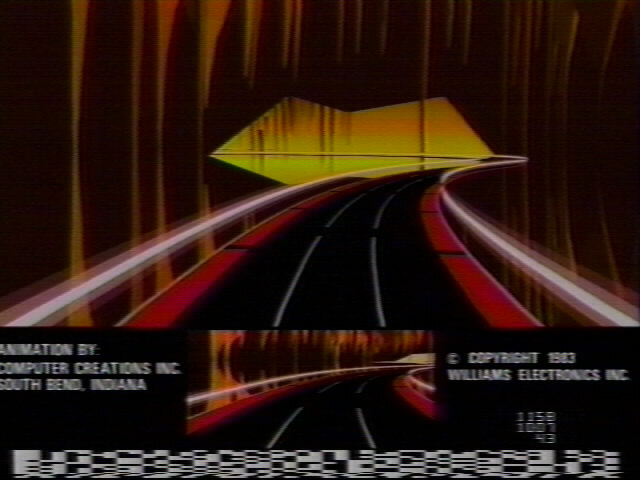 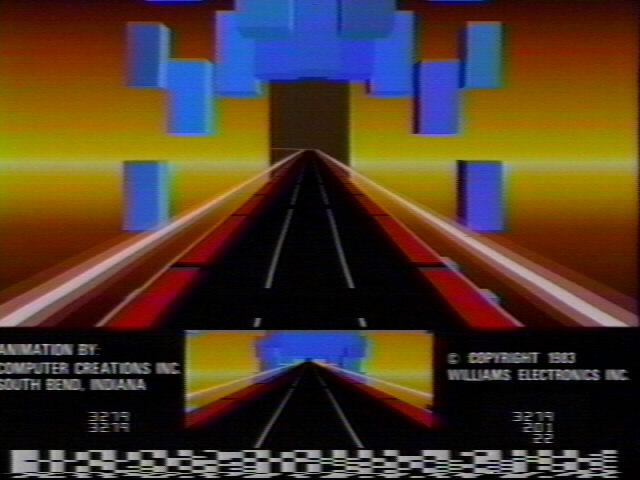 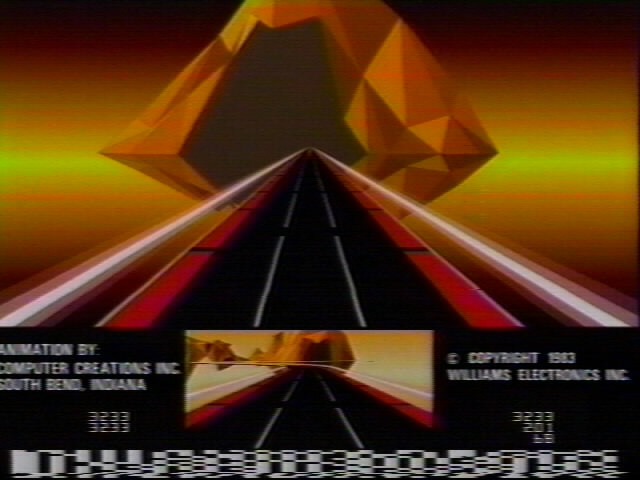 Star Rider was a laserdisc game created by Computer Creations and Williams in 1984. 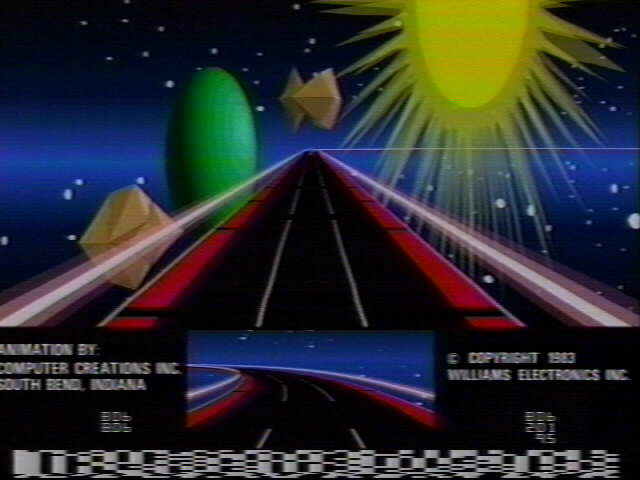 Unlike your normal motorcycle race game, this one took place on different planets in outer space. 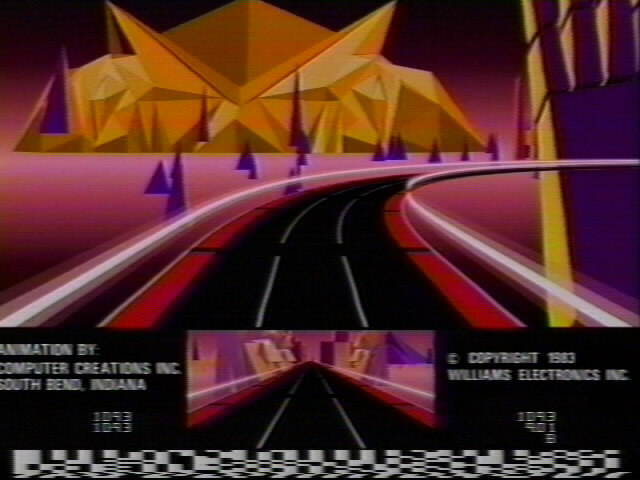 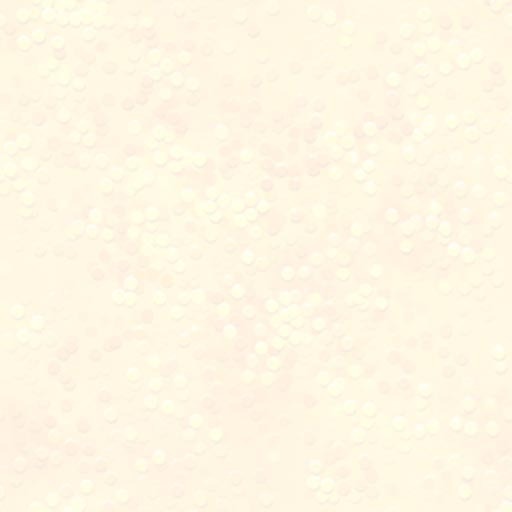 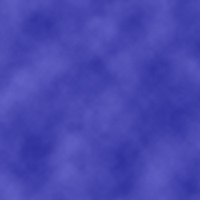 The different worlds consisted of "Cubitania", "Hexagonia", "Crystallia", "Stalacta", and a few others. 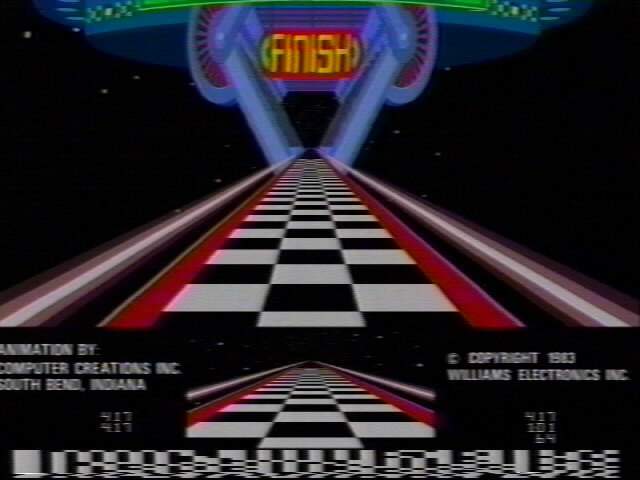 Each race starts and finishes in the "Cosmodrome", which is a space stadium where the "Robofficial" announces the player's status and race results. 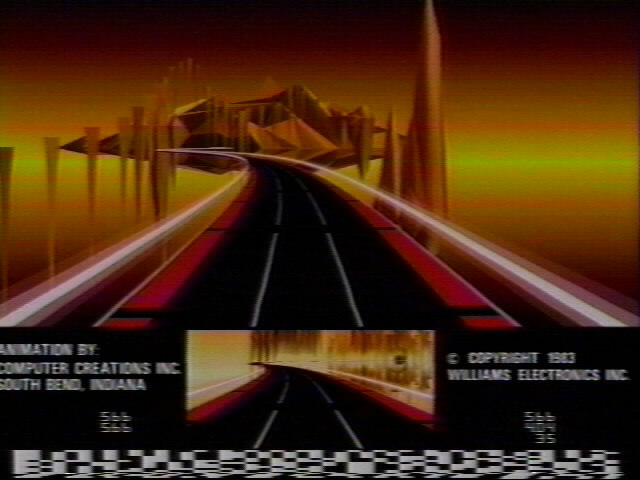 As you leave the "Cosmodrome", your opponents, "Thunderbolt", "Sidewinder", "Red Hawk", and "Gold Rider" are out on the road getting in your way. 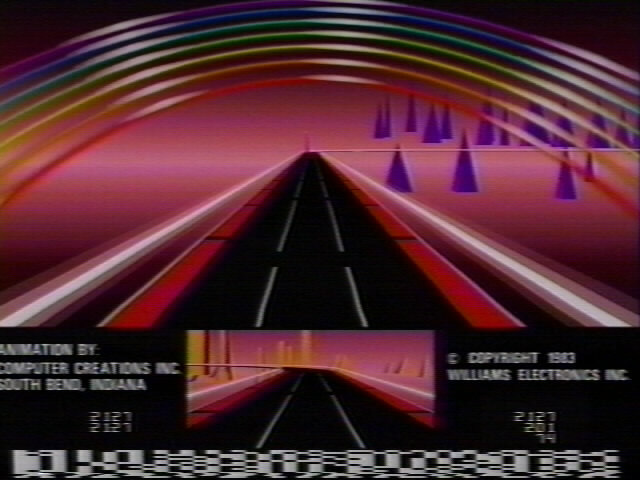 You must avoid hitting any obstacles in your path while trying to win the race. 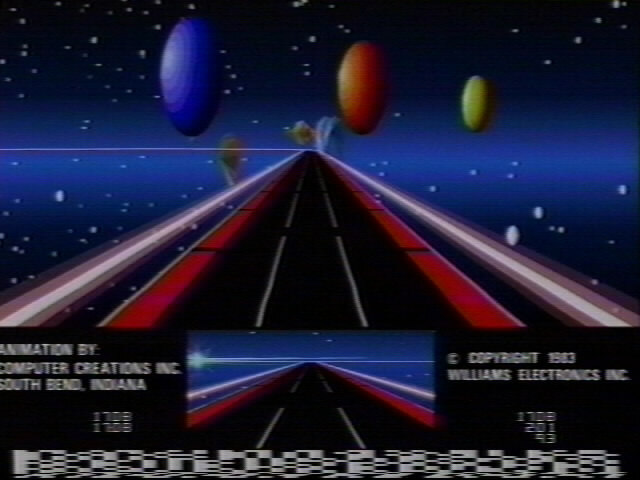 Star Rider was released in an upright style cabinet as well as a cockpit style cabinet.